The Longfellow District is on the list of Historic Districts in Iowa City and also included on the National Register of Historic Places. This is not to be confused with a Conservation District, which we also have in the downtown area of Iowa City. If you’re like me and wondering what the difference is, it has to do with the density of historic homes in a particular district. Homes in the Historic Districts simply have more homes with the historic characteristics required to make it onto the National Register of Historic Places. The historic nature of the neighborhood makes the Longfellow Neighborhood one of the premier neighborhoods in Iowa City. Of course the fact that the Longfellow Neighborhood is in the heart of downtown helps with that too. As a college town Iowa City is a busy little town with a lot going on. When you live in the Longfellow Neighborhood you’re very close to all the major happenings! 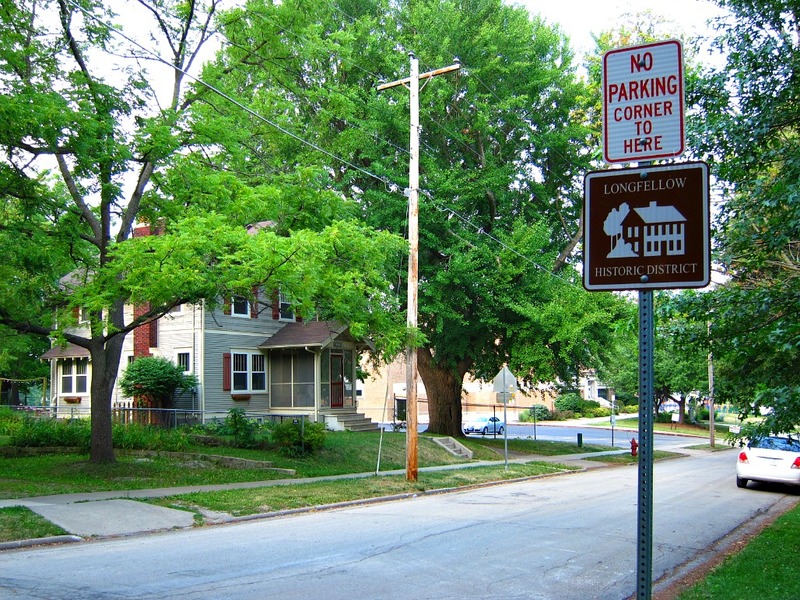 The most efficient way to search for homes in Iowa City Neighborhoods is to look at schools nearby. The Longfellow Historic District is serviced by Longfellow Elementary School. In the case of the Longfellow Neighborhood this strategy doesn’t work quite as well as most other neighborhoods in Iowa City since the homes listed typically includes homes further over on the east side. That said, searching by school district is still the easiest way to search for homes in Iowa City. If you’re buying a home you just need to be working with an agent who knows the lay of the land, or alternatively look for clues on location. The age of the home would be a clue. Buyers living in Iowa City know that homes within walking distance to downtown are for the most part older / historic homes. There are a few exceptions to that rule, but they are few and far between. If you’re relocating to Iowa City you won’t know that, so looking at the age of a house is your first clue. At the time of writing, the lowest priced home listed on the MLS in the Longfellow School District is $140,000 and the highest priced home is $549,999. (That higher priced home is a large, newer home on the east side). Please contact me if you’d like a list of homes currently listed for sale on the MLS in Longfellow Neighborhoods. It’s worth mentioning that as Realtor in Iowa City I can show you any house listed on the Iowa City MLS. When you’re ready to take the next step towards buying a home in Iowa City you’ll want to work with the right Realtor – An agent who knows the Iowa City neighborhoods and can help you navigate the complexities of the Iowa City real estate market, all the while looking out for you and your money! Watching out for buyer and seller clients is what I’m known for and with good communication skills and attention to detail you’ll always know that sound advice and guidance are just a phone call, text or email away. Call Denise now at 319-400-0268.